Ignore the crack in my bowl. It's time for some new dishes, I think. We have been loving this organic steel cut oatmeal from King Arthur. All the goodness of oatmeal but with a different texture we really enjoy. I had yet another half finished can of pumpkin my fridge this week so I've been mixing in a big spoonful, sweetening it with a drizzle of real maple syrup, and topping it with a generous shake of cinnamon. Delicious and whole foods friendly! 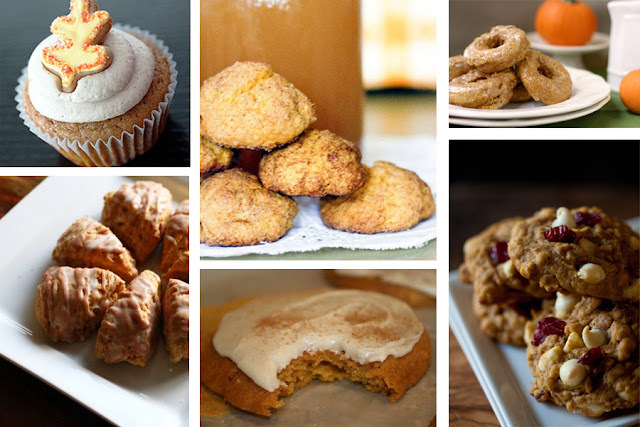 I'm loving my pumpkin oatmeal but I sure wouldn't say no to any of these! Or, if you want to go the savory route, I've been dying to try this pumpkin mac and cheese but Aaron is weirdly anti-pumpkin (you can just imagine how he feels about the constant pumpkin baking going on around here lately) and I'd have to eat all of it myself. Not a bad thing, per se, but I kind of like my bum at its current size. I made those pumpkin oatmeal cookies, although I did cranberries and regular chocolate instead of cherries and white chocolate and they were DIVINE. pumpkin in my oatmeal? why have i never thought of this? wow. i love pumpkin everything. yesterday my whole day was better when i stopped by fresh & easy for something and they were giving out entire slices of pumpkin pie as samples. I love steel cut oats too! Something about the chewy texture just makes me happy. 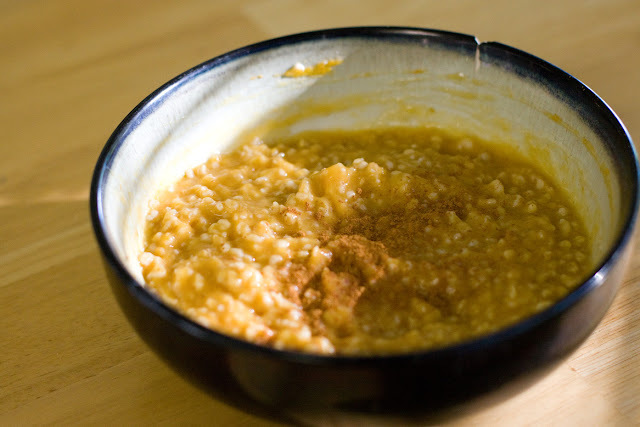 And pumpkin + oats = genius! PUMPKIN SNICKERDOODLES!? Yes, please! Yum!